We do not currently offer rakeback for Cellsino or the Everleaf Network. Everything below is for archival purpose only. Please choose another website as we do not trust the Everleaf Network or Cellsino at this time. We offer the maximum available rakeback on the Everleaf network, which is 40%. Rakeback is paid weekly into your Cellsino account, and you can check rakeback stats via the client. Note: As an extra special bonus, you will get the 300% to $500 signup bonus, which effectively means you will get 50% rakeback for the duration of that bonus. Preferrably, use Internet Explorer and clear cookies as this will decrease the chance of any tracking issues. Visit Cellsino Poker and register an account via this link. You must use that link. 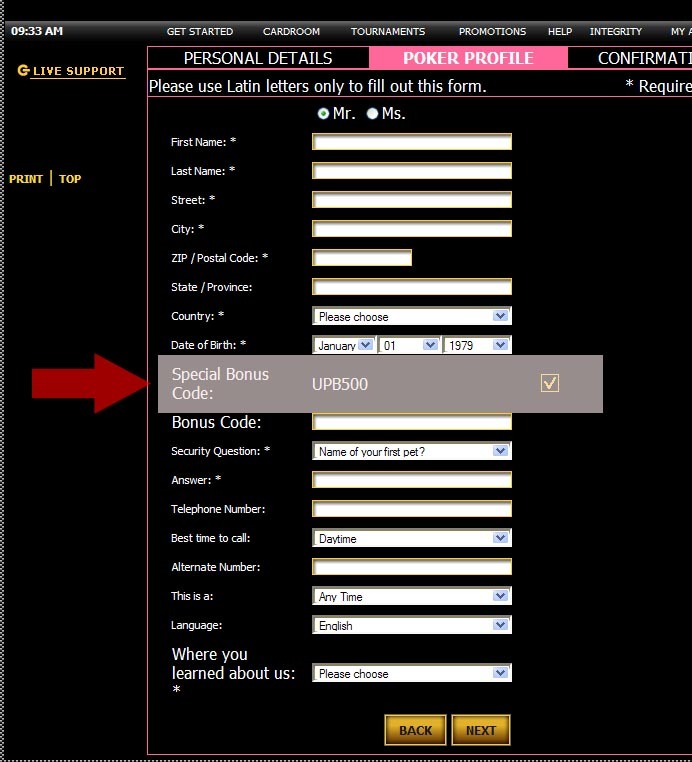 When registering a new account, you must use bonus code UPB500 on the second part of the signup process. See this image for an example. A notice should appear stating you have entered a special code. Also if UPB500 is already listed in the field you don't have to re-enter it. Do not deposit just yet. Fill in the form below with your username and e-mail address and then hit "Send". We will confirm you are tracked okay over e-mail, and send you additional information then you can deposit. 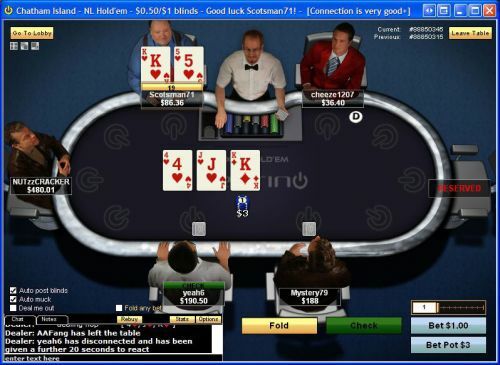 Cellsino Poker Review: Cellsino is a poker room on the Everleaf Network, a network with fewer frills than most, although there are some interesting features like Step tournaments to the WSOP Main event. US players can play here. This network has a small player base, with very little limit Hold 'em and Omaha action. Most of the player base plays No Limit Hold Em, with 20+ tables running in prime time. The small player base is not always a problem though. If you play on Cellsino you have access to a series of gaurenteed tournaments ranging from 150 dollars to 4,000 dollars. Very few players ever enter these tournaments, so there is always a tremendous amount of overlay, even in the 400-500 dollar gaurantees. Generally the entry fees only make up 1/2-3/4s of the prize pool, and in the larger guarantees it is sometimes less than 1/2. For example, the most recent 4,000 Guaranteed tournament had an overlay of 2,250 dollars! So if you are a tournament player on a smaller bankroll, Cellsino is the poker room for you. Also importantly, Cellsino features over a dozen deposit and cash out options, including 4 for players in the US. You can sign up for Cellsino Poker Rakeback here.